Rumors of the Nokia Lumia 1020 hit the internet about two months ago and the device was first expected to be named as Nokia EOS. Finally, Nokia announced the Lumia 1020 and now the 41MP Windows smartphone is official. Nokia has already tried the same camera with its Nokia 808 PureView and that device was murdered by its software but this time it’s the Microsoft Windows Phone 8 inside. The hands on done during the launch event shows that the camera is really capable of providing the crown and Nokia has also developed a dedicated app. 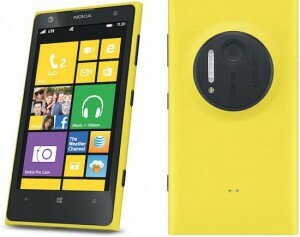 The app called Nokia Camera Pro will allow users to get better control on the 41MP sensor at the back of Lumia 1020. The Nokia Lumia 1020 isn’t a smartphone but it’s like a smart camera. Let see what it got in its specifications section. The design of the device is all same as of high end Lumia smartphones but the back design is new in the device since its holding up the 41MP sensor. In spite of having such gigantic sensor, device measures only 10.4mm in thickness and weighs approx 158 grams. This shows the quality of home work done by Nokia on Lumia 1020. The display measures 4.5 inch and it’s added on AMOLED panel. The resolution is set to be 768×1280 pixels and it’s again using the PureMotion HD+ ClearBlack display technology of Nokia. Multi touch is also there with protection from Corning Gorilla Glass 3. Nokia is again used the Qualcomm Snapdragon (MSM8960) chipset in the device on which dual-core processor has been added which is clocked at 1.5GHz. There is in built GPU as well (Adreno 225) that will meet the graphics requirement. Nokia has placed 2GB of RAM inside with 32GB of internal storage. The storage seems to be fine for the CPU but for the user it’s going to be less because of the 41MP lens. As the picture quality will be great so the image size will be large and this will create the need for more storage. Although free 7GB of storage on SkyDrive is there but that also isn’t impressive as expected. The main attraction is the camera and technically the 41MP camera is there at rear which captures pictures at 38MP. The optics is again from the CarlZeiss and Nokia has also used the Optical Image Stabilization technology along with its PureView technology. The camera got all the features which have been introduced for a smartphone camera and there is 1.2MP camera at front too. 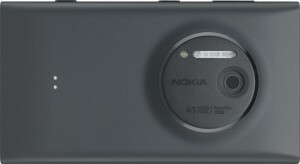 Nokia has developed a Nokia Camera Pro app that will be controlling the device. The app seems to be working great and it’s really powerful. The main task of the app is to allow users to use the camera in a better way. The rear camera will capture two pictures of the scene. The other one will be of 5MP quality that can be used for the social photo sharing app. It will support the LTE along with all other data connectivity features except the Infra red. The GPs is also there and the audio is enhanced by Dolby Digital Plus technology. Battery inside is a non removable 2000mAh battery that will be providing continuous talk time of approx 19 hours on 2G network but there are no words on for how much time the device will be allow user to use camera continuously. The Nokia Lumia 1020 will be available in Black, White and Yellow colors and it will be there in the retail stores very soon.